This Simple Beanie is the third design from my “Take a Break!” Collection that I wanted to share with you. The concept is simple: I propose several short projects that will be achieved very quickly. All you have to do is take a break, relax and enjoy yourself. I wanted to create a simple and trendy look. I love folded brim beanie but they are usualy large on the head. 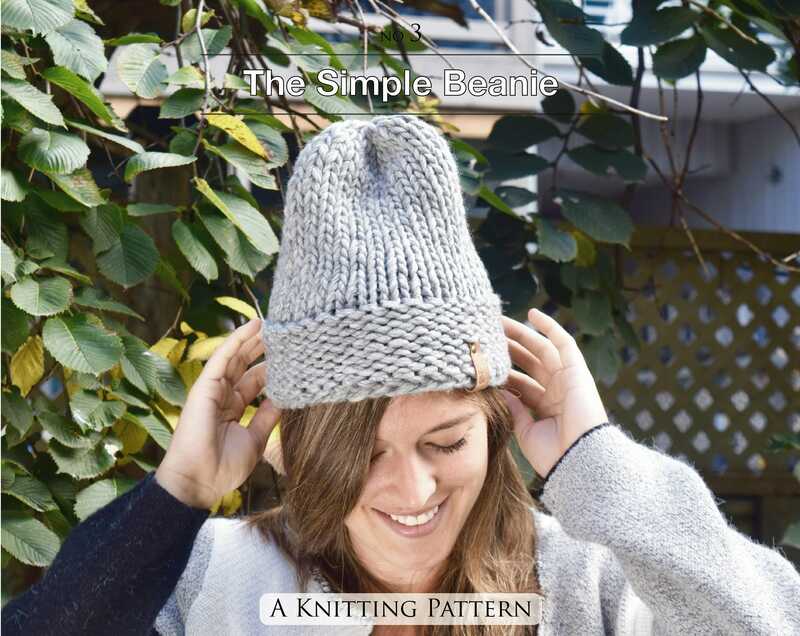 This hat is design to look like one of those beanie, but it’s just an illusion created by changing the type of stitches. The result is tigh, warn and cozy. You do not need a lot of knowledge for this simple hat, but as a great designer says one day, less is more. • One 16in circular needle, size 12mm. I love seeing what other knitters do. Once your creations are finished, do not hesitate to share your Ribbed beanies on the social networks including the hashtag #ateliercliche.